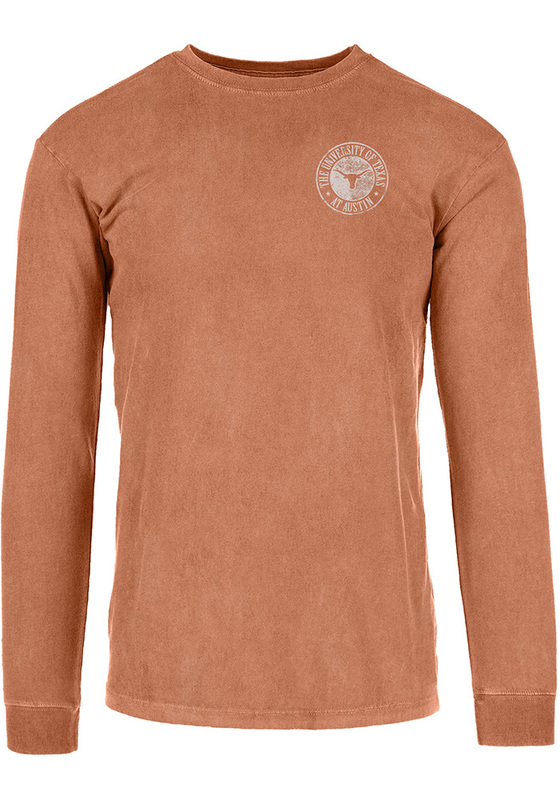 Show off your team pride in this Texas Longhorns Burnt Orange Around Here Long Sleeve T Shirt! 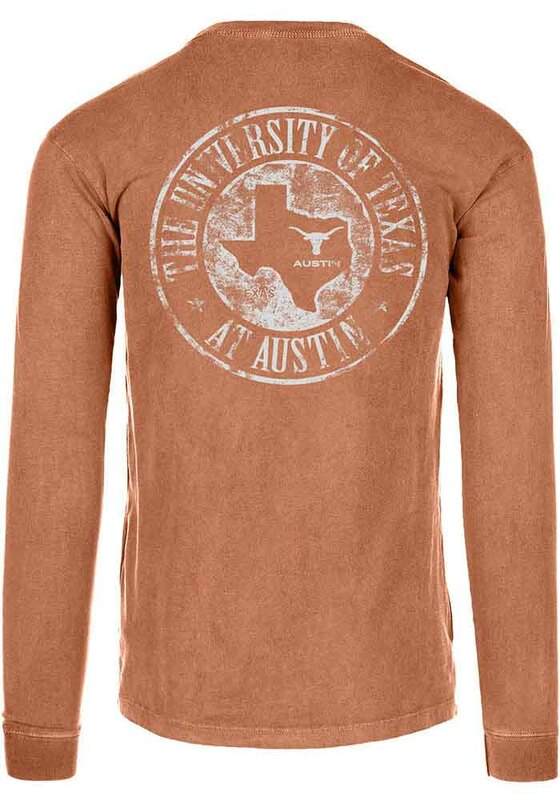 This Texas Long Sleeve Tee features a screen printed Longhorns logo within circle of school name on left chest and back. Make sure everyone knows you root for the Longhorns with this Burnt Orange Texas T Shirt. Hook Em Horns!